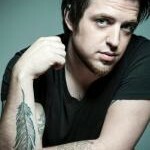 Supporting American Idol Winner Lee DeWyze! This Saturday, December 20th, I am very excited to be opening for American Idol winner Lee DeWyze at the Red Room @ Cafe 939 at the Berklee College of Music! 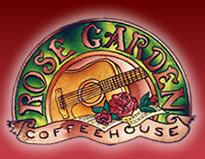 I will be in acoustic duo with Bernardo Baglioni, and we will play an opening set of my songs starting at 8pm. This is our last show in 2014 — and what a show it will be! — so come on out and say hello. It’s been an incredible year, and we are looking forward to more challenges, more travel, and more music in 2015. What: Marina & Berna open for Lee DeWyze! Where: The Red Room @ Cafe 939, 939 Boylston Street, Boston, MA. Tickets: $20. Click here to reserve online, or call 617 747-2261 to reserve over the phone. Rockport’s Marina Evans opened with a 45-minute set of her own tunes, and she managed to get a really warm and distinctive sound out of her acoustic guitar. Evans often utilized a wide dynamic range with her high-alto voice, going from whispery to wailing to good effect. Her “Not Gonna Wait” injected some starkly poignant soul into the mix, while “California” was a wistful look back. Who wouldn’t like her “anti-social media” tune “Little Boxes,” with its gentle chiding of some of the more obsessed among us. Evans also has a nice swinging tempo to most of her tunes, and “How Many Miles” was an especially toe-tapping delight. And there was an undeniable beauty to her gentle, almost crystalline ballad “One Way or Another,” where her voice and guitar were superbly in synch.